Later this year, the Pokemon Company is releasing their 20th Pokemon movie, which features a flashback to Ash Ketchum and Pikachu's earliest days. Since the movie is set in the past, some fans think this would be a perfect opportunity for the Pokemon Company to bring back Ash's original voice actor: Veronica Taylor. Veronica Taylor gave Ash his voice from the start of the Pokemon anime back in 1998 until 2005. When the Pokemon Company took over licensing of the anime from 4Kids Entertainment before the 9th season, they replaced Taylor with Sarah Natochenny, who still voices the character today. 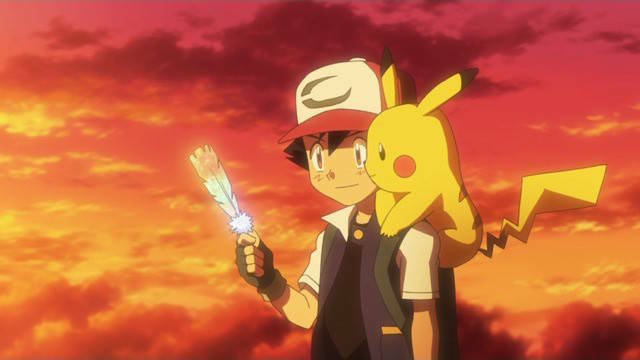 However, some fans feel the new movie is the perfect time for Taylor to return as Ash. An unofficial campaign is slowly gaining steam on Twitter, led in part by voice actor Sean Schemmel. Let @Pokemon know that you want @TheVeronicaT to play the voice of Ash Ketchum in the upcoming Pokémon the Movie 20: I Choose You! Taylor seems enthusiastic about the idea, as she's retweeted several tweets that ask the Pokemon Company to bring her back for the new movie. Taylor remains engaged with the Pokemon fandom and often uses the hashtag #OriginalAsh when talking about her time on the series. She recently "returned" to the role of Ash to post a brief message about Earth Day last month. So what do you think about Taylor potentially returning to the Pokemon franchise? Let us know what you think on Facebook or Twitter!